One of the things I’m mostly missing in Japan is German bread. The bread, which can be found in Japan, is nearly all of the soft, largely tasteless American style. 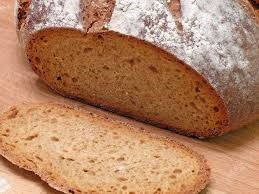 Even if the bread looks decently from the outside, it is always soft like a sponge when touched, reduces to one fifth of its volume under light pressure and for reasonably tasty consumption it has to be toasted. Therefore, whenever I happen to go to Germany, I enjoy the tasty bread there and return to Japan with a large variety of my favorite bread types. 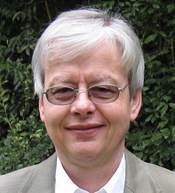 In Germany, bread is more than just a food - it is a part of the German culture. 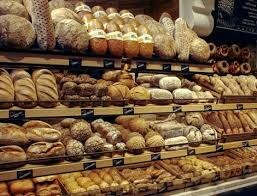 Germany produces more varieties of breads than any other country. Over 300 varieties of dark bread (Schwarzbrot) and white bread (Weißbrot) and over 1,200 varieties of rolls and mini-breads (Brötchen & Kleingebäck) are produced in Germany. Bread makes up a large part of the German cuisine and regarding bread, it is more varied than that of either Eastern or Western Europe countries. Most German breads are made with sourdough (Sauerteig). 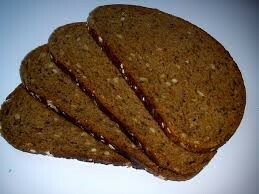 Most breads contain both wheat (Weizen) and rye (Roggen) flour and are called mixed bread (Mischbrot). Often it contains also whole seeds of wheat, rye, sunflower, or even pumpkin and is called whole-seed bread (Vollkornbrot). Darker, rye-dominated breads, such as Vollkornbrot or Schwarzbrot, are typical of German cuisine. Pumpernickel, a steamed, sweet-tasting bread, is internationally well known, although not representative of German black bread as a whole. 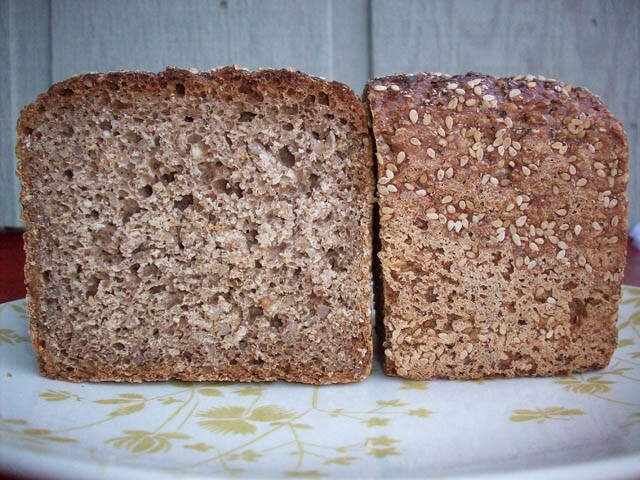 In general, Germans use almost all available types of grain for their breads: wheat, rye, barley, spelt, oats and millet. Bread is the basis of both the morning meal (Frühstück) and the evening meal (Abendessen) and it’s influence stretches into holiday celebrations and festivals. For breakfast, rolls and mini-breads (Brötchen & Kleingebäck) are most common and are accompanied with other German favorites, such as butter, hard-boiled eggs, sausage (Wurst) and cheese. The evening meal is often a light meal, as Germans traditionally eat their large, hearty meal at mid-day. 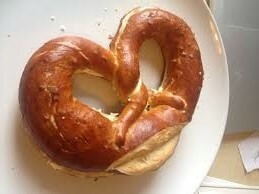 At festivals, the most common breads are pretzels (Bretzln), rolls and mini-breads served with bratwurst. For holidays, specially shaped breads are baked.